I know this isn’t the article I promised to post next for Dear Indie, but when inspiration strikes… Many aspiring writers will put in hours of research on the book publishing industry and still get surprised with things they weren’t expecting. The whole Synopsis vs Blurb is one of them. What is the difference between a Synopsis and a Blurb? In the Self-Publishing world: Nothing. The two words are completely interchangeable. They both pertain to the same condensed, key-word packed “description” you have to write for the sales page of your eBook / back cover of your paperback. It just depends on who you’re talking to, on which name it will be called. In the Traditional Publishing world: These are two completely different beasties – AND – you have to write them both! The “Blurb” is only that short sales pitch that will be used for your book’s landing page &-or back cover. A “Synopsis” is a 1-5 page, detailed rundown of your novel from beginning to end, which highlights the plot, character development, conflict, resolution, possible plot twists and the ending. Yes, the ending. You don’t want to try to preserve any surprise elements by NOT including them in your Synopsis. Why? Because, the Synopsis is the ONLY thing publishers read to determine whether or not they’re interested in your manuscript – they’re never going to read your book in its entirety. They don’t have time for that. Once you’re offered a contract and assigned an editor, then they will read your manuscript in its entirety, but you have to get through the gatekeepers, first. So, if you’re a writer aiming to land a publishing contract with an EPub or Traditional Publisher, it’s never too early to get your Synopsis and Blurb prepared for submissions. Find someone on Goodreads or a personal contact you trust to proofread it and get it as polished as possible, so you have an amazing Synopsis already on hand to submit to publishers upon their request. Trust me, it’s no fun getting asked for one at the last minute and having to scratch one out as fast and presentable as possible! Having 5 pages for a Synopsis might sound like a blessing compared to a Blurb, but for a 100,000+ word manuscript, trying to highlight everything they ask for can be just as frustrating and constrictive. You won’t have enough room to add everything you wish you could – so just make sure to add everything they specifically list. Publishers have zero tolerance for creative disobedience. You’re not going to win them over by offering something in replace of what they request, just because you think it sounds more attractive. Follow their guidelines to the letter. That’s it for today, Indies! I will be getting the: How to create a blank template for paperback layouts posted ASAP, promise! Hi Indies! I know I was supposed to post about Swag this time around, but I need to address something that’s undoubtedly a touchy subject, because I feel it’s extremely important: The dreaded typo. These crucial and often required elements aren’t just marketing tools, they’re like a resume and job interview all rolled into one: a reader’s first impression of you and your work. And you want them to be wowed, intrigued, captivated… not completely turned off. If you have typos in your Blurb or in your Teaser that’s being spread all over the internet via a Blog Tour you paid good money for – you are setting yourself up for failure or at the very least, ridicule. From a reader’s standpoint, if you’re a new author to me, I would probably never buy your book. If I can’t trust you to write two sentences correctly and actually take the time to make sure it’s polished, then why would I trust your book is going to be any better? Especially, when I have so many other authors to choose from who’ve put time and effort into all of their marketing materials! The emphasis of reaction here, isn’t so much about editing, as it is about care. My books and blurbs are edited by a professional–so in a perfect world, they should already be typo-free–but my Teasers are not. That’s why I check, double check and have someone else check them before I actually use them. The only thing a typo on a Teaser tells me is that you don’t care – not about me (your reader), your own work or your image as a writer. Many readers actually feel insulted by these instances, despite your intentions. It’s just a negative experience all around that I’d hope for you to avoid. I just deleted a book tour I was going to host, because there were no less than three glaring typos just in the Blurb, which wasn’t very long. I didn’t even check the Teaser or Excerpt, because I don’t want that nonsense on my blog. That sounds harsh, but it’s the truth: If the author doesn’t care enough, then why should I? I’m already cramming deadlines into time I don’t have, I’m not going to waste more by fighting HTML coding to fix someone else’s mistakes. And that’s typically the schedule of every blogger. They’re already too swamped to care about your mess and it’s not their responsibility, at any rate. The most common problem faced by aspiring writers is trying to gain any kind of attention in an overpopulated market and especially, as an Indie Author. Yes, Indies have made some amazing strides to prove themselves and their work to the world at large, but shaking off the lingering stigma is a struggle we all face. So, why would you want to prove your own naysayers right by not taking the time to ensure every single piece of work you put out into public view is your best quality? Here’s another example of typos working against you: Your social media bio. I came across a profile of someone claiming to be an author and writer of self-help books – only it came with typos. My first, knee-jerk instinct is distrust in their self-help advice and all I could think was: “Well, let’s hope those self-help books are not about how to become a better writer.” I don’t need that kind of help, thank you, I manage to mess up all on my own! Once again, it comes down to first impressions. You’re asking new readers to trust you – which is hard enough when you’re 100% typo-free – why make it harder on yourself? As Indies, we are trying to build our author platforms, gain exposure, make a name and reputation for ourselves. Our author names ARE our business/brand names – I’ve said this before – and it still stands. Everything we do that has our pen name attached to it, is going to reflect back on us, professionally, by our potential readers (aka customers), as well as by our critics. And those jackals really don’t need any more reasons to hate. So, Indies, show your brand name lots of love and put just as much effort into your marketing, as you would into your book. Look after your creations and your success, by taking the time to care about how you’re representing yourself and all of your hard work. You should be proud of everything you put out into the public to attract readers. The devil is in the details, as they say, but in this respect, trouble comes with the lack of attention to them! ♥ “Be the engineer of your own success” (I can’t find it, but I’m fairly certain this quote should be credited to someone who is not me). Having your print cover created by a professional also gives you more creative options for the WHOLE cover, rather than just the front. The cover creator interfaces are limited and I’m not sure they allow you to add stock photos or other creative embellishments to the back cover or spine. But, since I’ve never used that feature, don’t quote me on that – do a little research first, before deciding which way you want to go. An Indie friend of mine is currently taking the DIY route for the Interior Layout Formatting portion of her first printed book and I can’t wait to hear about her experience. • On the pro side, having DDD handle the interior formatting saved me a ton of time and since I don’t currently have Microsoft Office, it also saved me the headache of not having any compatible software for the free offered templates. If you do have MS, both CreateSpace and Derek Murphy (DIY Book Cover extraordinaire) offer a ton of free interior layout formatting templates that you can use to design the interior of your books – I do believe Derek’s are for both eBook and Print. I wouldn’t be surprised if you could find even more free templates merely by plugging that into your preferred search engine and looking around. • The con side, is that you can’t make any changes after a professional has created those files for you – so if you notice a typo too late – it’s just too late. You can’t open the file on your own computer and make any necessary changes. My designer gave me that warning ahead of time – as a professional should. So, be aware and make absolute certain that you’re giving them the cleanest, most polished version of your book. I don’t know about IngramSpark, but during the process of uploading a book to CreateSpace, they gave me a list of steps to take to ensure my book was awesome. I bypassed it, simply because this is a collection of already professionally edited, proofread and published books. If your book hasn’t already been published as an eBook, Createspace offers to convert your printed files into eBook ready files and send it directly to KDP for you. This might be a great advantage if you’re planning to print prior to eBook – POD’s don’t allow you to publish for Pre-Orders, but you could print while your eBook is pre-order to rack up those Amazon reviews in advance! My results: Having both the cover and the interior layout formatting done by a professional, I didn’t have 1 single error or print issue. My book turned out perfect inside and out and beautiful to boot! The colors appear a tad darker than in the electronic file, so that may be something to keep in mind if you already have dark colors for your cover. Bleed: Stop before end of page (also known as No Bleed) – I learned that Bleed is for picture books, which allows illustrations to reach all corners and edges of the page, rather than having a white border. Note: Be 100% sure on your specs when you order your print cover and make sure they match the specs you choose when uploading your files to the POD, otherwise you may have problems – however, I used an online page count calculator that ended up being 100 pages off and my cover still fit perfectly – my designers are either awesome or we lucked out! As you can see in this comparison photo, the trim size makes for a larger than average paperback book. Since it’s a collection with approximately 436 pages, this was the perfect size, as anything smaller would’ve made for a very thick book which may have been difficult to hold comfortably. However, if you’re printing a rather short novella, you may want to opt for smaller trim sizes so your book doesn’t come out as thin as a magazine. I chose to use CS, not just because my eBooks are already enrolled in the KDP Select program, but mostly because it’s free and I spent time asking people I know and trust their opinions/experience with using that platform, which were positive. After doing a bit of research, the most helpful article I found to show the differences between these two platforms can be found right here, it’s very succinct. It seems that CreateSpace is in the lead simply by being faster, cheaper and more customer-friendly. Their biggest downside: they don’t offer Hardbacks with dust covers, and IngramSpark does. In the CS community forums, the Ingram affiliated Lightning Source seems to be a popular choice for ordering just Hardbacks. Bookbaby and Nookpress were also noted. I would be leery about getting involved with anything related to Barnes & Noble ever since they shut down their European markets and became a U.S. presence only, but perhaps with just the hardbacks, your book’s range isn’t an issue? Again, do your research to find out which you’d want to try (if any). Note: I realize I left a third contender out of this entire post – Amazon’s new beta print platform done through Kindle Direct Publishing, itself – that’s because I simply don’t have enough information about it yet, and most of the feedback I’ve seen on Goodreads is negative. If you have any insight on this platform, please share it with us in the comments below! A trio of well known authors were accused of being “greedy” for writing a series of novellas, rather than putting the whole story in just one book. I know, that was my first reaction, too! But the truth is, readers have no idea what it takes to put a novel together – just like most of us have no clue what it took to build our house (not just lumber & nails, but zoning permits, environmental studies and structural engineers). Again, we’re on two different sides of the same coin. One side knows how to create the product that the other side enjoys to use, it’s that simple and that symbiotic. This won’t be a rant or even a defensive post. I thought it was a great topic to discuss here, because have you even thought about which length you would prefer to write or why? Did you set out to write one length, only to end up with the other? Have you weighed the cost/potential profit for each? 50-150,000 x $0.12/per word = $6,000-$18,000 (the top professional editors charge between $.10-$.12 cents per word). 50-150,000 x $0.04/per word = $2,000-$6,000 (This is the median price for The Book Butchers, but they have one cheaper at $0.02/per word, and one more expensive package at $0.06/per word, depending on what you want). 1 Cover: You have the choice of making your own for the cost of the stock photo, buying pre-made or ordering a custom made. Stock photo: $35/mo. membership – OR a one time fee of $12-$45 depending on the photo and size. Pre-made: $45-$90 depending on the site. I used Deranged Doctor Design for Avarice & Unforgiving. I paid $145/per eBook cover, but they have just increased their prices to $199/per eBook ($239 for eBook+Print). They have bundle deals for a LOT of services and everything is Custom Made. *Note: Some promotional sites are starting to increase their prices, but again, the more you bundle, the more you save! 1 Book to Market: Varies depending on how you market. Facebook, Goodreads and Amazon Ads for self-promoting, I do believe are a minimum of $50 that gets reduced by $0.10-$0.50 cents per bid/click, or they have professional marketing options if you want to spend a minimum of $5,000. I hope you all know how much I love you, that I just did all that math for you. My worst subject! Notice I didn’t include the cost for professional Interior Layout Formatting, because I do my own, so if that is one of your costs, tack on another $45-$75 /per book depending on who you use. As you can see, it actually costs MORE in the long run to write a series, than it does to write a stand alone novel. So if you’re thinking about doing a series to make more money, think again. However, novellas allow us to publish at a much lower cost right now. I don’t know about you, but I don’t have thousands of dollars lying around waiting for me to spend on producing one book. Even at my editor’s super-low rates, I am hard pressed to pay for cover/editing/marketing/book tour/giveaway (that’s over $600/per book) at once- just for my small novellas, but at least it gives me the opportunity to publish at all! Avarice is $1.99, which Amazon only pays 35% royalties for. I would have to sell over 208 books just to make up the cost of my cover alone–before taxes–that doesn’t include editing and marketing. I could try to sell at 100% royalties through my own e-commerce website, but I’d have to consider the cost of a web designer, domain name and the fact that it would still never get the kind of traffic Amazon gets. ♥ This is only one reason why an author might decide to write a Novella Series or Stand Alone Novel. If you have a different reason for your preference, please share with us in the comments below! Avarice Unforgiving ♥ 1 Week Countdown! **READERS** This event will have a Rafflecopter Giveaway for eBooks & Gift Card so make sure you stop by any of the participating blogs for your chance to win! 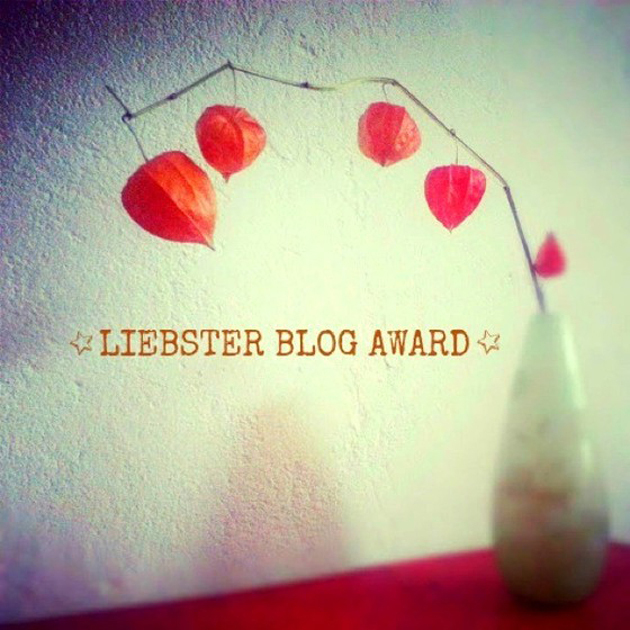 ♥ Thank you to all participating bloggers!